structures and present a parsing approach that provides deep syntactic structures. The seminar is supported by Vilem Mathesius Foundation. Leo Wanner earned his Diploma degree in Computer Science from the University of Karlsruhe and his PhD in Linguistics from the University of The Saarland. Prior to joining ICREA, he held positions at the German National Centre for Computer Science, University of Waterloo, the University of Stuttgart and the Pompeu Fabra University, Barcelona. As visiting researcher, he was also affiliated with U of Montreal, U of Sydney, U of Southern California's Institute for Information Sciences, U Paris 7, and the Columbia University, New York. Throughout his career, Dr Wanner has been involved in various large scale national, European, and transatlantic research projects. 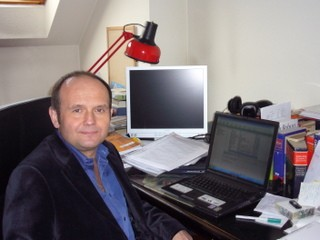 He has published seven books and over 100 refereed journal and conference articles and serves as regular reviewer for a number of high profile conferences and journals.